Manuel is a legend in Glasgow. People still whisper about him. The ITV drama In Plain Sight tells the story of how he was caught and tried and hung, but if you want to know why he still lingers in our collective imagination, you have to listen to the pensioners. I had no choice but to listen to them. In 2013 I wrote a play about Manuel, and they wouldn’t leave the theatre until they told me that I had the story wrong. They knew what had really happened and I was wrong, wrong, wrong. It was pretty embarrassing. It was only our mutual obsession with the case that tempered my blushes. I first heard of Peter Manuel in the late 1980s, while doing a law degree at Glasgow University. “During this time,” the Criminal Law lecturer chortled, “There was a fashion among accused criminals for dismissing their counsel and conducting their own defense. Once upon a time, in the early 1970s, I worked for a duck. He was a nice duck and owned a flower business. 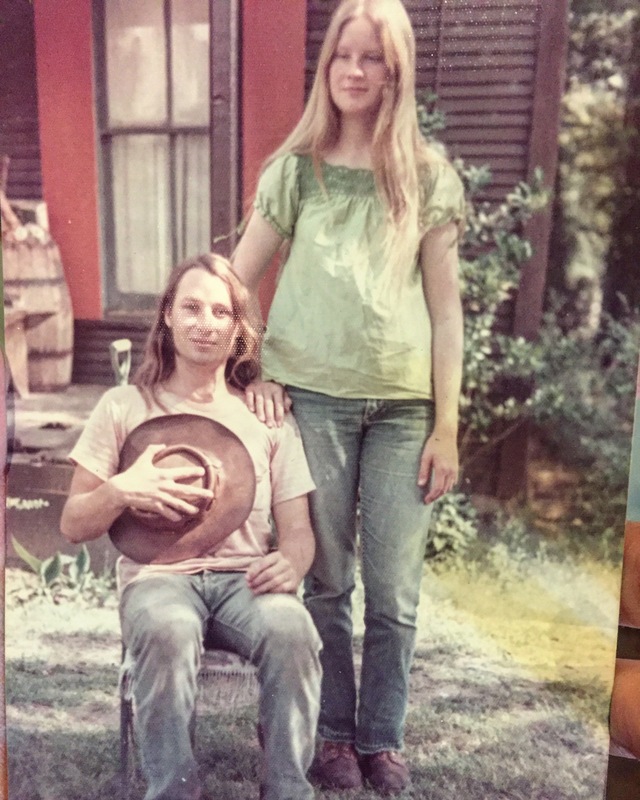 What he did was he hired people like me, and other long-hairs and down and outs to stand on street corners in Austin, Texas and sell flowers. Ducks make nice employers. People bought a lot more flowers than you might think. Austin was a pretty cool place back then. At the end of the day, the duck had a good return on his flowers, and I, and those doing the same kind of work I did on different street corners, got paid. It wasn’t a lot of money, but it wasn’t bad money for a part time job for someone not yet twenty, or maybe just turned twenty. I’m a little uncertain how old I was then, and it lacks importance. The duck had a yellow van, and he drove us to our street corner in it and let us out, along with our cache of flowers. I would sometimes try and get people’s attention by doing a little dance on my street corner, and it worked. A lot of folks said they were buying flowers from me because I entertained them. One time I was finishing up my dance and a beer bottle whizzed by my head, having been thrown from a car by a bunch of rednecks. I was mad and wanted a piece of them, but they raced away. They may have been rednecks that thought they were tough and were going to mess up a hippie, but I most likely looked crazy in that moment and that might have temporarily scared them out of their redneck credentials, or maybe they had some place to go and were short on time to be there. Whatever, they went away fast. I didn’t dance anymore that day and kept an eye peeled in case they returned. I was at an intersection, and I hoped they’d catch the light. They didn’t come back though. And that’s good. I was young enough and hot-headed enough, I might be serving time in prison. I got a little sick about it for a while, thinking I might have lost an eye or ended up with a brain injury, or at best a black eye. That bottle thrown from a car had some real speed on it. I really had it in for rednecks after that, and part of the reason is that I had grown up with just their type. Couple of days, and I pretty much got over it, but thereafter I danced very little and continued to keep a sharp eye. No one threw anything else at me, and I never saw the rednecks again. We asked Ayelet Gundar-Goshen, author of Waking Lions (out now from Little, Brown and Company!) to tell us how her riveting new thriller came to be. My partner begged for a thriller. The big difference between a moral thriller and a moral drama is the source of danger. While in a drama the danger is from within—feelings of shame and guilt that haunt the character—in a thriller there’s also an outside danger. The basic mechanism—somebody knows the secret—is what makes this wheel turn. The bigger the outside problem is, the more afraid we are for our character, and the more desperate the character becomes. Desperate characters make interesting moves, because human nature is revealed under pressure. It’s very easy to be a good person when everything goes as planned, but what happens when things start to fall apart? When we read about people in extreme situations—in times of war, disasters and so on—we discover that you can never tell who will be a hero and who will turn out to be a coward or a villain. We have a concept of ourselves as being one thing, but when we crash into reality, we find out that we’re completely different than we thought. A middle-class doctor hits an unnamed refugee and leaves him to die by the side of the road—that’s the beginning. He comes back home, kisses his sleeping wife and children. He’s sitting in his living room feeling guilty—not much fun, but better than prison—when there’s a knock on the door. It’s the refugee’s wife and she witnessed the accident. The outsider’s eye raises the tension. Think of yourself committing any kind of transgression—the first thing you do is look around and see if anyone else noticed. Our moral principles—Freud’s superego—develop out of the fear of being punished for our passion or our aggression. The outsider’s eye makes for potential punishment. While in a drama the conflict is inside one’s mind, in a thriller the different aspects of the mind (the animal drives, the moral principles) are represented by different characters. But of course, literature is more than mechanics, just as a person is much more than the sum of his organs. You can’t write a novel based on schematic structures, there has to be a soul in it. When the characters you’ve created start to move between the pages, when they start to talk and act, that’s when the story becomes alive. And when a character suddenly rebels and refuses to do what you planned in your plot structure, that’s when you know the book has a soul of its own. Whenever I’m working up a new book, whether it’s during the concept phase or during outlining, I start making a playlist to go with it. Eventually I start calling it a “soundtrack,” but it’s really only a playlist. I can only imagine how much I’d have to pay in licensing fees to make an honest-to-goodness soundtrack for every book I’ve written or published. But whatever the case, Walk Away is no exception. The soundtracks never come together in exact order. They start with a seed song or two that capture a specific character or moment. Walk Away started with the Beastie Boys’ “Sabotage,” because I knew the book would climax with a slam-bang action sequence, and when I thought of it “Sabotage” leapt right into my head. Bob Dylan’s “Knockin’ On Heaven’s Door” followed quickly thereafter, signifying a critical moment toward the end of the book following the action, but you’ll notice it isn’t here. About midway through the editing process on the book, I realized Willie Nelson’s “The Maker” better fit the characters in the scene and the message I wanted to convey. So Dylan was out and Willie was in. I consider that a good trade. It’s rare that I call out a song in the text itself, but occasionally I want so much for a reader to hear what I hear that I’ll name-check the artist or the title so the scene unspools as I imagine it. Such was the case with the Kid Rock’s “Bawitdaba,” which is something of a douchebag anthem, but irresistibly catchy. It seemed like the perfect song to accompany Camaro beating the holy living s— out of someone, and so you’ll find direct reference to it in the book. Sorry for being so pushy. Many of the songs you’ll find on this playlist become totally obvious in the context of reading the book. They are indicative of a place — like “Going to California,” or “All the Small Things” — or they attach directly to a character. I don’t think anyone can read Walk Away and not realize how George Thorogood’s “Who Do You Love” connects to the book’s primary antagonist, Lukas Collier. Similarly, when the playlist opens with Larkin Poe and “Trouble in Mind,” you know that’s Camaro to the bone. I chose some songs because they spoke the same language as Walk Away. Pearl Jam’s “Better Man” is a sorrowful tale of a woman trapped in an abusive relationship, and Walk Away addresses this issue head-on. The victimized woman in “Better Man” has a far less salvific fate than Camaro’s sister, Annabel, but we can hope. And when you hear Tracy Chapman lament in “At This Point in My Life,” you know you’re hearing the interior voice of Camaro more clearly than she would ever allow. It is in these and many ways that I prime myself to tell the story I want to tell, the way I want to tell it. If there’s an emotion to strike, sometimes there’s need of a boost to get there. Of all the songs on the playlist, though, I think the one that communicates a sense of hope better than anything is the closing track from Everclear, “Santa Monica.” In Walk Away, Camaro goes through a serious grinder, not only physically, but emotionally. “Santa Monica” talks about coming into your own in a way you haven’t before, and I like to think the final moments of Walk Away convey that to the reader. Enjoy listening once you’ve read. Tell me what you think. I am writing these lines a long time after the last page of Kill the Next One. The book is no longer the same, and I am no longer the same. The life of a book in the outside world commences with the word “fin,” and a number of things have happened since then: translations, events, and many readers have had the opportunity to read it. I have had the great joy of exchanging views with readers, and it has been revealing; Kill The Next One is a labyrinth whose passages have not yet been fully explored, I fear, not even for me. I knew the book would start with a strong event, that it would lead to a maze of repetitive cycles and some lineaments, rather than saying too much. One afternoon at the beginning of the writing journey, I went to visit my mother, who has always been interested in the course of my literary career. I do not have the habit of talking too much about works in progress; however, this time I forgot that rule and talked about the idea I had in mind. It would draw on possible plots, hypothetical characters, and situations that support what I want to tell. She made me a coffee with sugar and sat at the table willing to talk with me as we had done so many times before. I stood next to an antique piece of furniture that had belonged to my grandmother. This cabinet is covered at the top by a plate of marble, and it has wooden ornaments in the corners. The marble slab became the main timeline, and the ornaments were the cycles. I slid my finger forward and backward along the edge of the marble, explaining the operation of the novel, where the surprises were, how the cycles worked…just as a professor explains a complex theory to the discomfiture of his students. Permit me to use this analogy not because I think I have the lucidity of a professor, but because my mother, who is a highly intelligent and lucid woman, did not understand a word of that first sketch of Kill The Next One. And that was logical! For there was nothing to understand. This strong start was the key to shaping the plot itself. I remembered a story I had begun writing a long time ago in which a man was about to take his life in his home office. His doorbell rang, and the man had the choice to answer or not. When he finally decided to open the door, he met a mysterious man who made him a proposition that was difficult to refuse. The story wasn’t there. I had not even figured out what was so compelling about the proposal. I returned to the story, reread it—there were only about three or four pages—and I knew that was the opening I was looking for, that the elements I needed to develop the plot had been drawn in the marble furniture inherited from my grandmother Anita. David Morrell’s Ruler of the Night is set on the harrowing, fogbound streets of 1855 London. A gripping Victorian mystery/thriller, its vivid historical details come from years of research. Here are photo essays that David prepared about the novel’s fascinating locations. Read the first essay about Euston Station, the second essay about Wyld’s Monster Globe, and the third essay about Dove Cottage. The hydropathy craze of the mid-1800s began when Vincenz Priessnitz, the son of a farmer, with no medical training whatsoever, established a water-cure clinic in the town of Gräfenberg, located on an Austrian mountain that’s now part of the Czech Republic. The clinic became so popular that British doctors replicated it in the area of Malvern Hills in the West Midlands of England. The springs at Malvern were renowned for their purity, but the quality of the drinking water was only part of the reason that well-to-do patients paid large sums to seek treatment there for arthritis, gout, kidney ailments, and nervous disorders. Although there wasn’t any scientific basis for using water as a physical therapy, guests became convinced that it helped them. The wet-sheet treatment, the upper and lower douches, and the plunge bath were only some of the therapies that doctors at Malvern’s hydropathy clinic recommended. In Ruler of the Night, Thomas De Quincey becomes subjected to the extremes of the wet-sheet method as a way of curing him of his opium addiction. Meanwhile, a killer stalks one of the clinic’s guests. David Morrell’s Ruler of the Night is set on the harrowing, fogbound streets of 1855 London. A gripping Victorian mystery/thriller, its vivid historical details come from years of research. Here are photo essays that David prepared about the novel’s fascinating locations. Read the first essay about Euston Station, and the second essay about Wyld’s Monster Globe. At the start of Ruler of the Night, opium-eater Thomas De Quincey and his daughter, Emily, are rushing from London to Grasmere in England’s Lake District. To his alarm, De Quincey has learned that a collection of rare books he stored in a house there is about to be auctioned because he failed to pay the rent for the house. This in fact happened many times in De Quincey’s life. Often the houses were so filled with books that they were uninhabitable. One of these houses was among the most famous literary dwellings in England—Dove Cottage—where William Wordsworth lived from 1799-1808 and De Quincey lived from 1809-1820. The story behind the intersection of the two authors is fascinating. In 1803, when De Quincey was 18, he wrote a fan letter to Wordsworth at a time when critics ridiculed Wordsworth’s poetry. Delighted by De Quincey’s enthusiasm, Wordsworth sent a letter in return, suggesting that if De Quincey were ever in the Lake District, he should drop by for a visit. David Morrell’s Ruler of the Night is set on the harrowing, fogbound streets of 1855 London. A gripping Victorian mystery/thriller, its vivid historical details come from years of research. Here are photo essays that David prepared about the novel’s fascinating locations. Read the first essay about Euston Station. Sixty feet in diameter, one of the tallest buildings in the West End, the Monster Globe occupied much of Soho’s Leicester Square, a formerly pastoral area that had degenerated into weeds, trash, and dead cats. An entrepreneur named James Wyld persuaded the square’s owners to lease it to him, promising to improve the area immensely. To their dismay, they discovered that his idea of improvement was to fill the Square with his Globe. For the price of a shilling, visitors could step inside and admire plaster models of the world’s continents, oceans, rivers, and mountains. As many as three million people did so, and none seemed to think it bizarre that they viewed a world turned outside in, where mountains that normally rose toward the sky now pointed inward toward the Earth’s core. In Ruler of the Night, this inverted world parallels Thomas De Quincey’s inside-out opium logic in which there are many realities. Lord Palmerston visits the Monster Globe for a crucial meeting with one of his spies. As the attraction’s popularity diminished, Wyld allowed the building to deteriorate. When his lease expired in 1862, the owners of Leicester Square reclaimed the property and ordered Wyld to demolish the huge structure. Restoration of the gardens took several years, but by 1874, the area had indeed been improved immensely. The unusual building in the background is the Alhambra Theater, which remained standing until 1936. When people ask about my writing process, I usually describe it as “blind panic.” The fact is, my approach differs wildly from book to book. Sometimes I outline. Sometimes I don’t. Sometimes the story pours out of me, and sometimes getting words down is like pulling teeth. But there’s been one constant throughout: I can’t listen to music while I write. That tends to make any book soundtrack I cook up something of an afterthought—but not this time. Though I still wrote in silence, music played a huge role in the genesis of Red Right Hand. Obviously, I borrowed my title from the Nick Cave song of the same name. He was kind enough to grant me permission to use a quote from it as an epigraph; it appears alongside the Milton quote that, in turn, inspired him. Red Right Hand’s opening chapter features a man attempting to recreate a photo taken of his parents on their honeymoon. 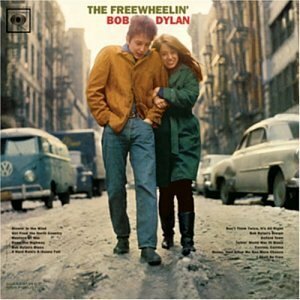 That photo was based on the iconic cover of The Freewheelin’ Bob Dylan, on which “Masters of War” appears. (My first draft even name-checked the album.) I chose that song in particular because the book grapples with the privatization—and monetization—of global security. Dylan sneaks into the soundtrack a second time as the songwriter behind Johnny Cash’s “Wanted Man.” It, too, appeared in an early version of the book, as the song Chet Yancey whistles at the end of chapter eighteen. Neko Case’s “Knock Loud” is a cheeky homage to the weirdest meet-cute I’m ever likely to write, in which a retired gangster attempts to break into a wealthy ex-professor’s home. Said retired gangster needed a distinguishing characteristic to tie his physical appearance to that of his younger self in the prologue. I was stumped as to what it should be until I took a walk and The Velvet Underground’s “Pale Blue Eyes” popped up on shuffle. As for the other tracks, each is resonant in its own way. A mood, an image, a phrase. But to tell you much more would be to dip into spoiler territory, so instead I’m gonna shut up and let you listen in peace. Oh, one last thing: in an ideal world, this playlist would include Morphine’s “Take Me With You,” but Spotify failed me. Feel free to find it elsewhere and give it a spin. Chris Holm is the author of the Collector trilogy, which blends crime and fantasy, and the Michael Hendricks thrillers. His first Hendricks novel, The Killing Kind, was nominated for an Anthony, a Barry, a Lefty, and a Macavity Award and named a New York Times Editors’ Choice, a Boston Globe Best Book of 2015, and Strand Magazine’s #1 Book of 2015. Hendricks returns in Red Right Hand, now in bookstores. For more about Chris, including links to his Twitter profile and Facebook page, visit www.chrisholmbooks.com.